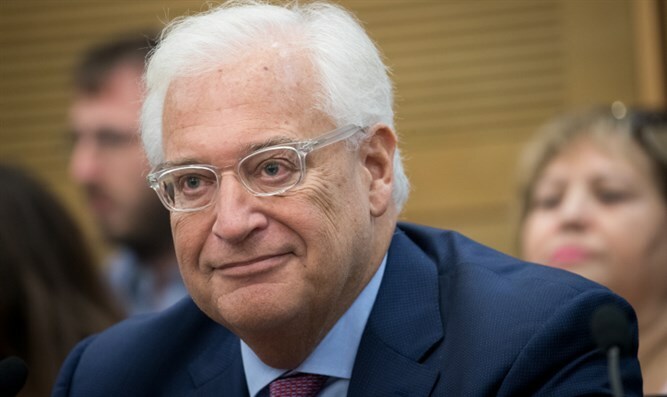 US Ambassador to Israel David Friedman suggested that if PA Chairman Mahmoud Abbas continues to refuse to sit down for talks with the US and Israel, the US would seek out someone else who will. Interviewed for the latest edition of Shvi'i this week, Friedman’s comments were the first made by a senior official in the Trump administration to bring up the possibility of Abbas’ irrelevance to the White House. Following US President Donald Trump’s declaration recognizing Jerusalem as the capital of Israel, Abbas declared that he would no longer accept any peace plan proposed by the White House, dismissing the US as a "dishonest mediator." Earlier this month, Abbas attacked Friedman personally, branding him “the son of a dog” and a “settler” after Friedman blasted the PA’s failure to condemn a string of recent deadly terror attacks. Friedman also talked about the passage in the US of the Taylor Force Act, which withholds US aid for the PA if it continues to pay terrorists and their families. “We established a clear message here - you can't harm the interests of the US and its allies while continuing to receive US aid as if nothing happened."